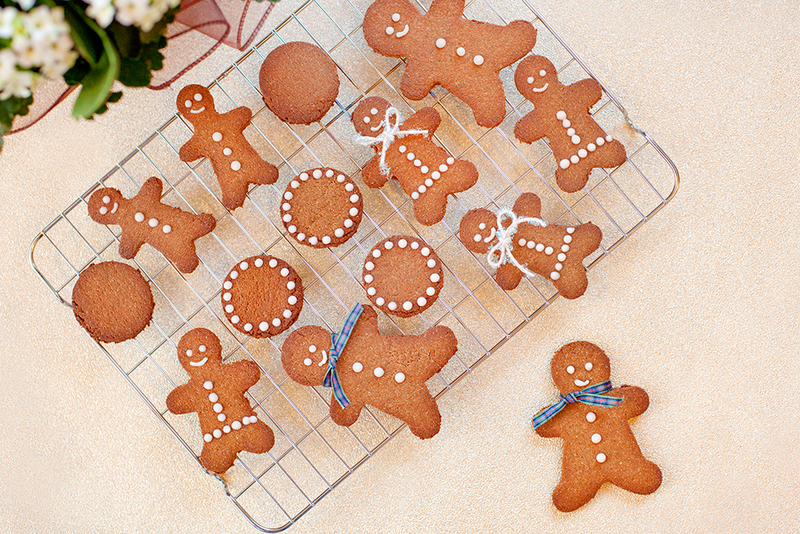 Ginger and cinnamon are the heart and soul of the gingerbread man and whichever way you cut them, these totally irresistible Primal Gingerbread Cookies are a sure-fire way to excite the senses with all the flavours of Christmas - sugar, spice and all things nice - without actually eating grains or sugar. 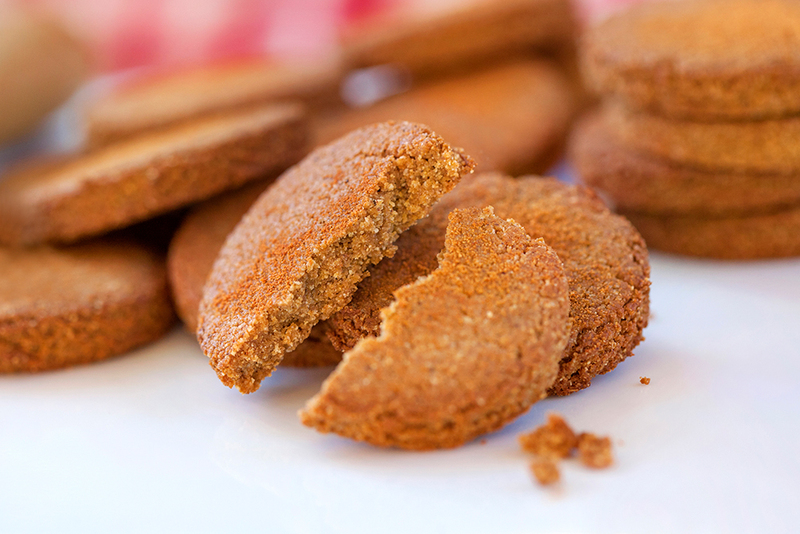 Sticking with tradition, I’ve used unsulphured blackstrap molasses to add a sweet, sticky, depth of flavour and colour to these classically spiced, biscuity gems of nutritional goodness. Just a tablespoon mind, which barely registers as grams of carbs when it’s divided between 20 cookies - even if you do succumb to eating three at a time. Trust me, one is never enough! Besides, organic blackstrap molasses is a healthy sweetener that’s relatively low in sugar, which I encourage you to use judiciously as part of a Primal/Paleo diet because it’s rich in nutrients such as potassium, copper, iron, calcium, and B vitamins. The other guilt-free sweetener I’ve used to make these cookies “keto” is…wait for it…pure monk fruit powder. Monk fruit, also known as luo han guo or longevity fruit, is 300 times sweeter than sugar and is used in traditional Chinese medicine to treat obesity and diabetes. Bring it on! Monk fruit powder may seem expensive but a little goes a very long way. One teaspoon is all it takes to replicate the nostalgic, full-on sweetness and spiciness of traditional gingerbread as you know it. Whilst ginger is a popular, warming spice with powerful anti-inflammatory and antioxidant properties, what really takes these Primal Gingerbread Cookies to a whole new level is recently harvested, freshly grated cinnamon. Nothing like ready-ground cinnamon powder purchased from a shop, the sweet taste and heady fragrance of Cinnamon Hill’s cinnamon sticks will amaze you. The fact is, I’m addicted. Which is no bad thing since fresh cinnamon is also one of healthiest spices on the planet. With incredible anti-oxidant, anti-inflammatory and immune-boosting effects, this delicious spice is proven to help lower blood sugar levels, fight infection, protect against allergies, improve digestion and reduce risk factors for heart disease, cancer, diabetes and neuro-degenerative diseases. These delicious, crunchy on the outside, slightly chewy on the inside, easy-to-bake Primal Gingerbread Cookies taste just like Christmas but with such impressive health credentials, they’re bigger and better than that. More for your eating enjoyment than for seasonal decorations to hang on a tree, these cheery biccies are such a treat I have no doubt that my family will try and persuade me to carry on baking them all year round. Gently warm the butter/coconut oil with the vanilla extract and molasses until the oil is just melted. Place all dry ingredients into a food processor bowl, pour over the wet ingredients and whizz together until the mixture starts to clump together. Tip out on to a large sheet of parchment paper and with your hands gently bring the mixture together into a ball of dough. Don’t overwork, as this will make the mixture release too much oil. Wrap the dough ball up in the parchment paper and put in the refrigerator to chill for about 30 minutes. Remove the dough from the fridge and roll out between two sheets of non-stick baking parchment until it is about 6-8mm thick. Use a 1½ - 2 inch cookie cutter or fancy-shaped cutter to form the cookies and place them on a baking sheet lined with parchment paper. If you don't intend to decorate your gingerbread cookies, grate more fresh cinnamon over the top of your cookies prior to baking. Bake for about 10-12 minutes, or until the cookies have risen slightly and are lightly browned. Turn the tray around halfway through the cooking time and keep an eye on them for the last couple of minutes to prevent burning. Remove and let sit on a cooling rack before decorating or eating them plain.